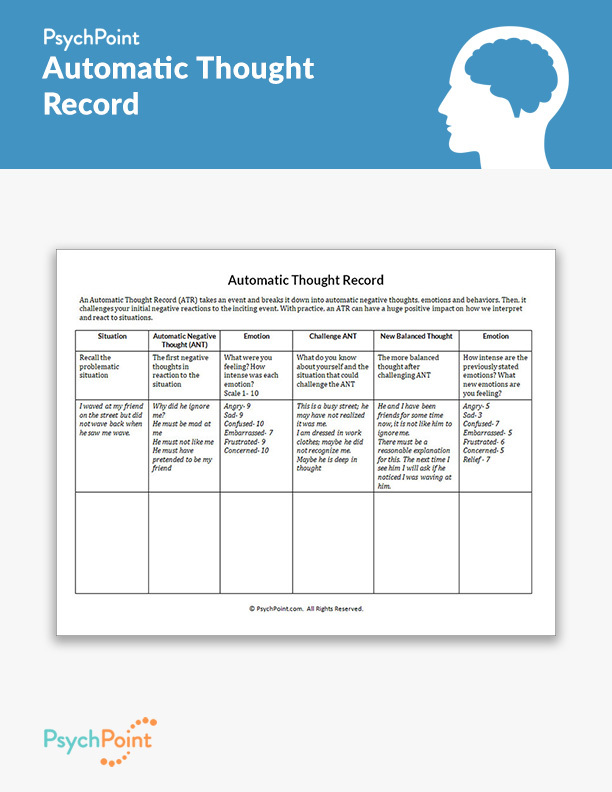 Arguably the most popular and useful therapeutic exercise for cognitive behavioral therapy (CBT) is the automatic thought record (ATR). 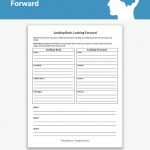 Automatic thought records are useful because they help the client take a look at themselves and reflect on their own reactions to a given situation. This empowers the client to reflect and identify their own errors and how they affect them and the way the client lives their life. It will also help the client to learn how to identify effective and ineffective behavior. 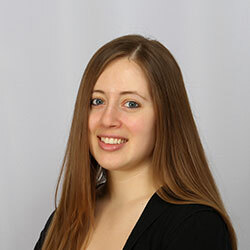 This teaches the client how to modify how they behave and react to unpleasant situations. This is the Automatic Thought Record worksheet. 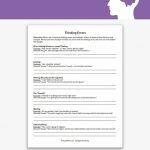 This worksheet is an ATR that is set up to follow the basic procedure to teach the client the thought process behind cognitive reconstruction and addressing cognitive distortions. 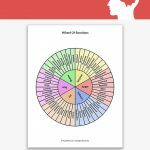 In order to use this worksheet, the therapist should have an in-depth knowledge of what CBT is and how it works on the client. It is important for the client to practice the first few ATRs with the therapist to ensure that they fully understand the process. Eventually, with practice, the client will learn how to do this during their day-to-day lives and in the moment of that problematic situation. Tthe patient is asked to recall a situation and their initial thoughts and feelings. The client is asked to challenge the automatic negative thought (ANT) with their own knowledge and understanding of the situation that will help them to develop balanced thoughts and ultimately decrease the intensity of the negative emotions they feel. 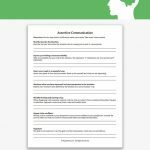 This worksheet can be particularly useful for anxiety, situational depression, anger management, relationship issues, and even some personality disorders.